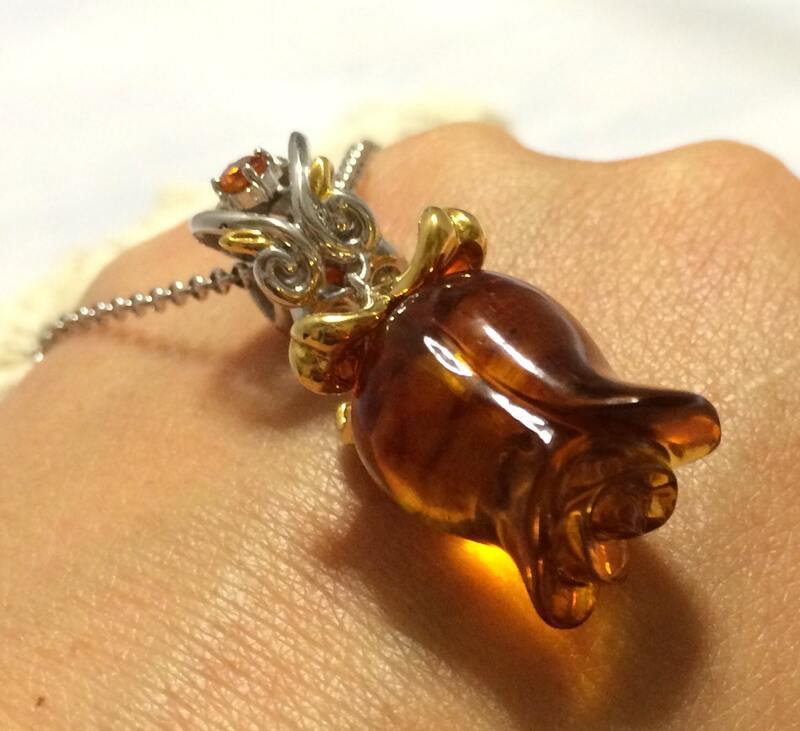 15 x 12mm Carved Amber & Madeira Citrine Tulip pendant with 18 chain. 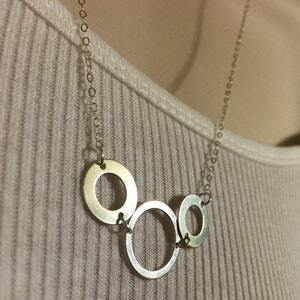 Two tone sterling silver and Palladium necklace. 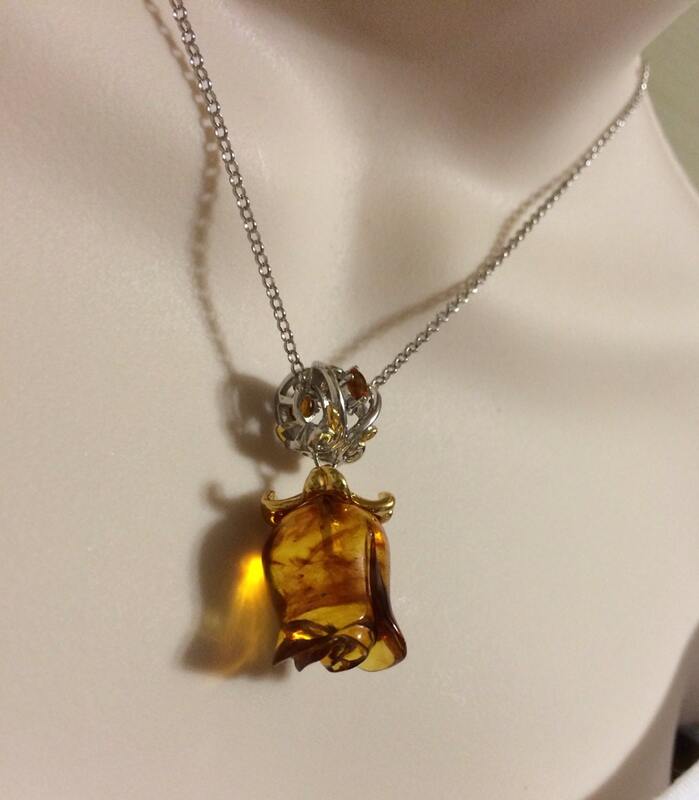 15 x 12mm Carved Amber & Madeira Citrine Tulip pendant with 18" chain. 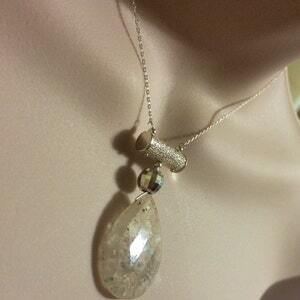 Two tone sterling silver and Palladium necklace. 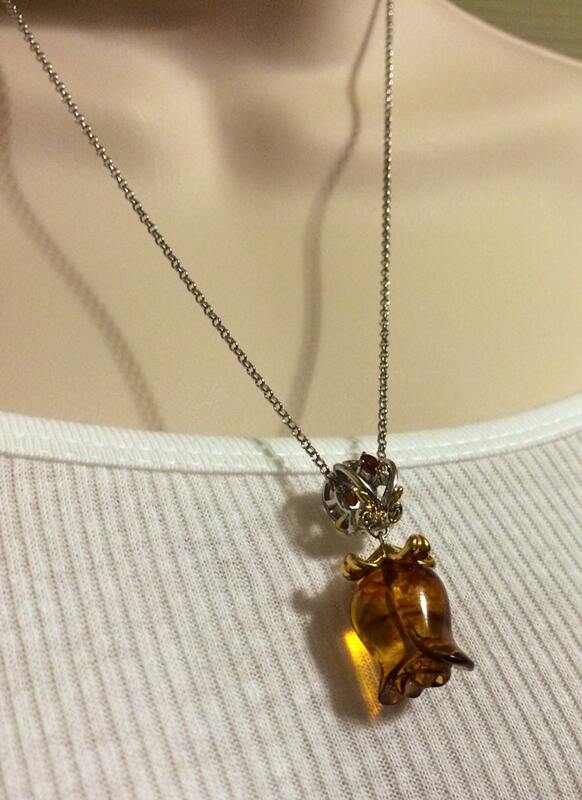 15 x 12mm Carved Amber & Madeira Citrine Tulip pendant with 18" chain. A lovely blossom for your neck! 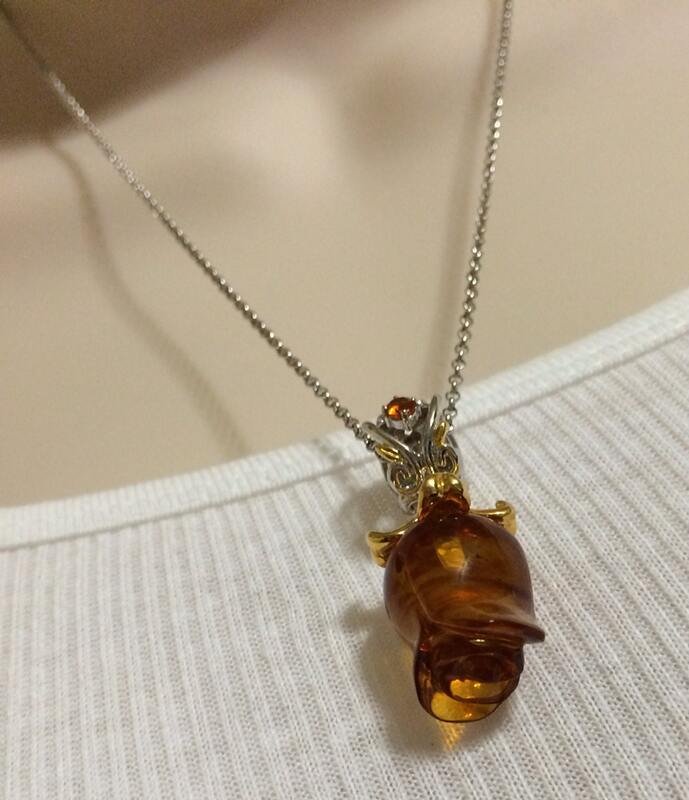 Crafted with polished sterling silver and palladium with 18K yellow gold plated accents, this lovely pendant features one tulip flower shaped fancy cut 15 x 12mm orange amber in a drill setting. Two oval cut 4 x 3mm Madeira citines accentuate this lovely pendant from claw settings. 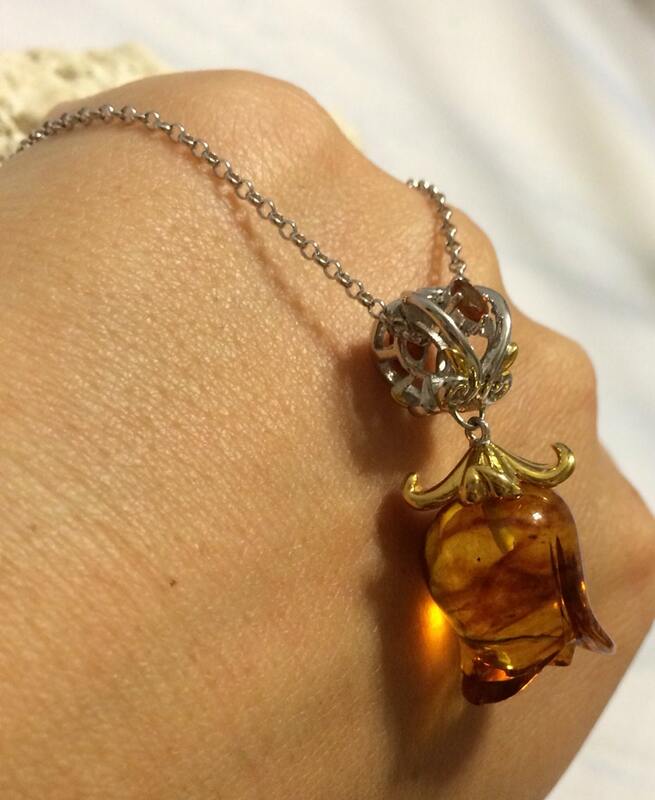 The total amber weight is 11.50ct and the total citrine weight is 0.36ct. 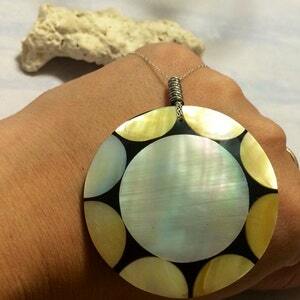 The pendant measures 1-3/8"L x 1/2"W.
Tree Ring Circus Sterling silver necklace. 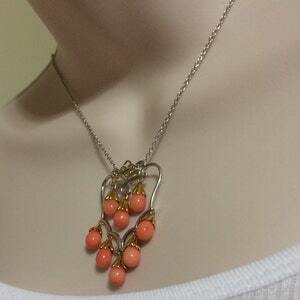 Bamboo Coral Chandelier Pendant /Necklace Drop sterling silver and Palladium necklace.